Our free Scientific Literacy Tool is now available! What is the Scientific Literacy Tool? The Scientific Literacy Tool is an educational web-platform helping curious people discover, understand, and explore scientific contents. The Scientific Literacy Tool web-platform combines the Scientific Literacy Tool plugin and the Scientific Literacy Tool website. 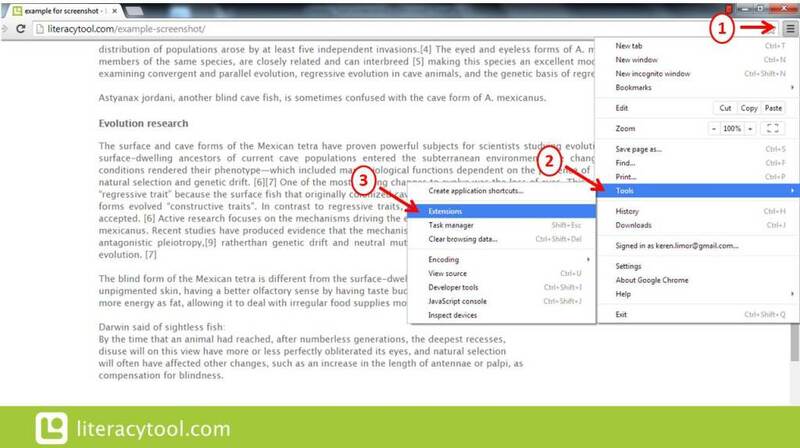 Start Exploring with the Scientific Literacy Tool ! To start exploring with the Scientific Literacy Tool, you can either register directly at the the Scientific Literacy Tool website or download the Scientific Literacy Tool plugin from the Google Chrome Webstore. The Scientific Literacy Tool website is available to explore using any browser. Yet, for now, the Scientific Literacy Tool plugin is only available for the Google Chrome browser – download the Google Chrome browser. Please find below how to register and how to use the Scientific Literacy Tool and some of its features! Click on the following button to register to the Scientific Literacy Tool platform. Get the Scientific Literacy Tool! Done! you will see the green Scientific Literacy Tool logo at the upper right corner of your browser – click on it whenever you want to activate it. 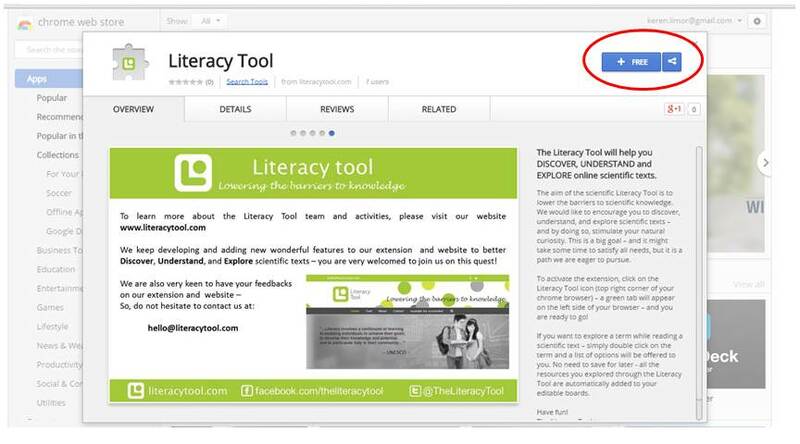 If you wish to download the Scientific Literacy Tool plugin from the Google Chrome Websotre, please follow the instructions at the bottom of this page. 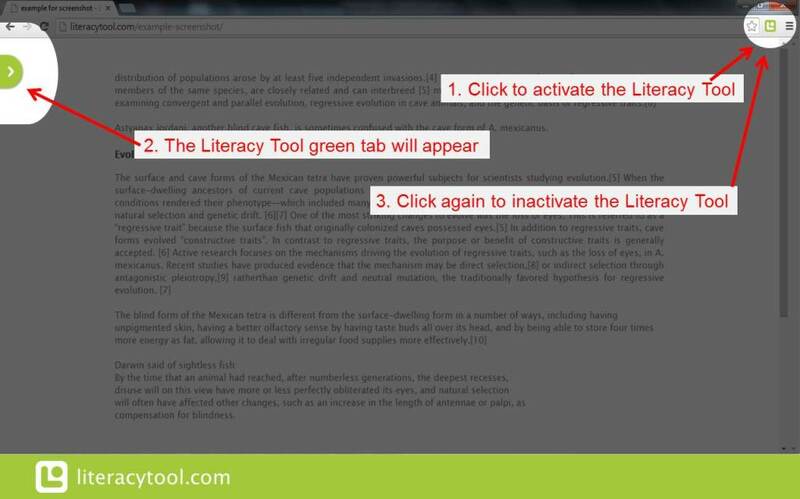 1) To activate the Scientific Literacy Tool – click on the Scientific Literacy Tool green icon at the top right side of your browser – a green tab will appear at the left side of your browser. This green tab indicates the Scientific Literacy Tool is active. 2) To inactivate the Scientific Literacy Tool, simply click again on the icon. You will no longer see the green tab at the left side of your browser. 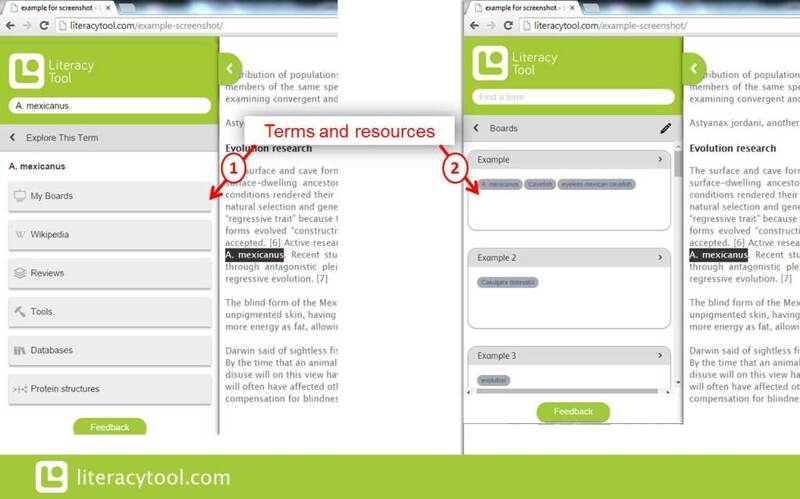 Once your Scientific Literacy Tool is active, you can simply double click on any terminology and the Scientific Literacy Tool will give you a list of resources to explore. 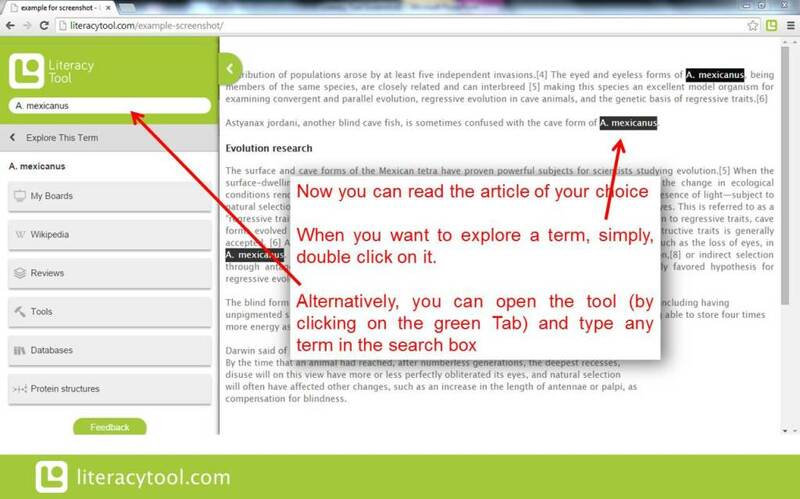 Alternatively, you can open the Scientific Literacy Tool by clicking on the green tab and type your search in the search box. 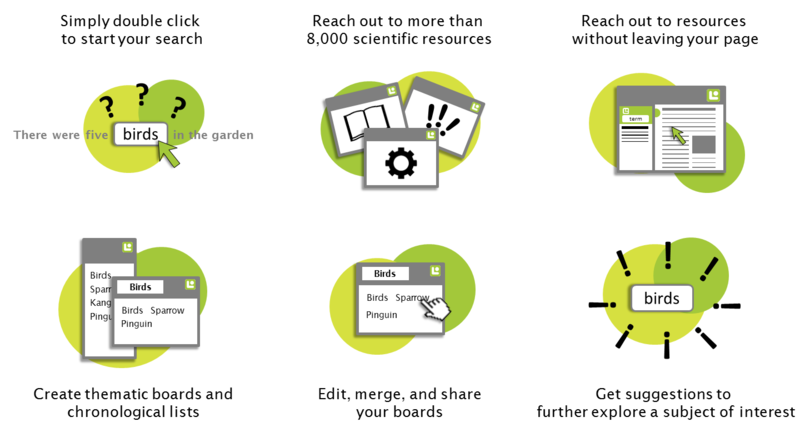 All terms and resources you are exploring from within the Scientific Literacy Tool are brought together in your editable “Boards” – so that you can always go back and find all the resources you explored regarding any specific article or subject. 2) Click on the blue “+ Free” button – which will then ask for your authorization to install the Scientific Literacy Tool. 4) Done – you will see the green Scientific Literacy Tool logo at the upper right corner of your browser – click on it whenever you want to activate it.